Is racial bias a real thing? We talk about the recent episode where two black men are arrested at Starbucks for waiting to buy their drinks until a friend showed up. 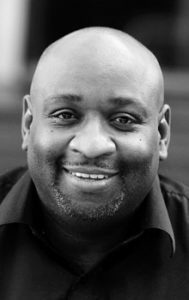 We also interview Leroy Barber, a racial justice activist and author, about how we can respond to racial bias. Leroy Barber is an author, pastor, and community leader who has dedicated more than 20 years to eradicating poverty, confronting homelessness, restoring local neighborhoods, and healing racism. He is the author of Everyday Missions: How Ordinary People Can Change the World, Red, Yellow, Black and White: Who’s More Precious In His Sight? and recently released, Embrace: God’s Radical Shalom for a Divided World. Leroy serves as executive director of The Voices Project, an organization committed to supporting and developing leaders of color.